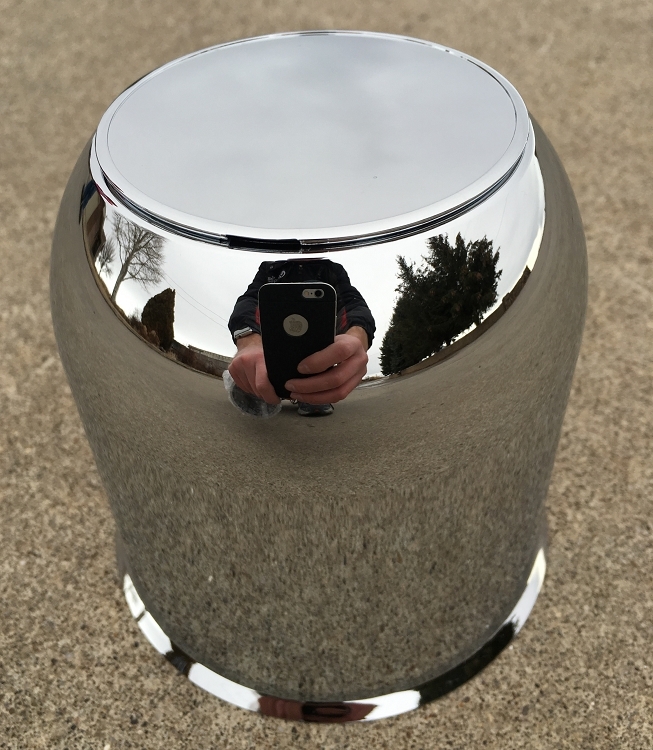 4.25" Chrome Center Cap with Removable End for Easy Greasing. -Reduces Galvanic Corrosion -High Impact -Heat Resistant -Long Lasting Gloss Finish -Easy Removable End Plug. I found all kinds of prices for wheel centers. I took a chance on these cheaper ones. But quite frankly I was quite please with the caps. Well packaged, well chromed, sturdy and look great with my new Sendel trailer wheels. Caps look great! Good price for chrome!